Yes, I am back in the Sunshine State, and I use that term loosely this season. 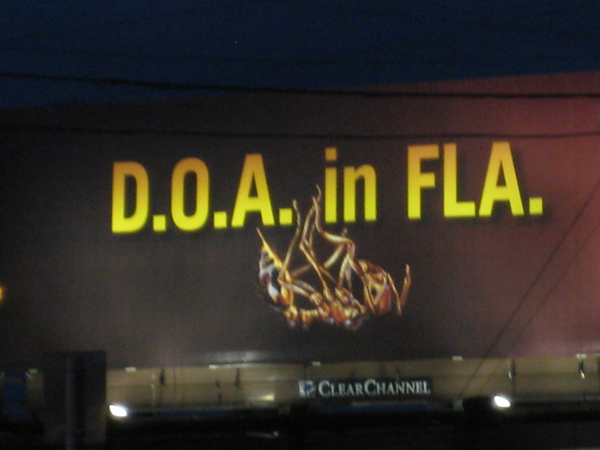 This is a billboard as you get out of the airport towards I95. Nothing like making the tourists feel at home as soon as they arrive. there is a travel advisory, watch your ash!